Q. 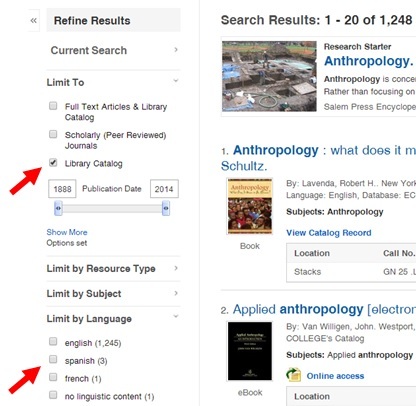 How do I find out if there are any books in Spanish in the library on the topic I'm researching? 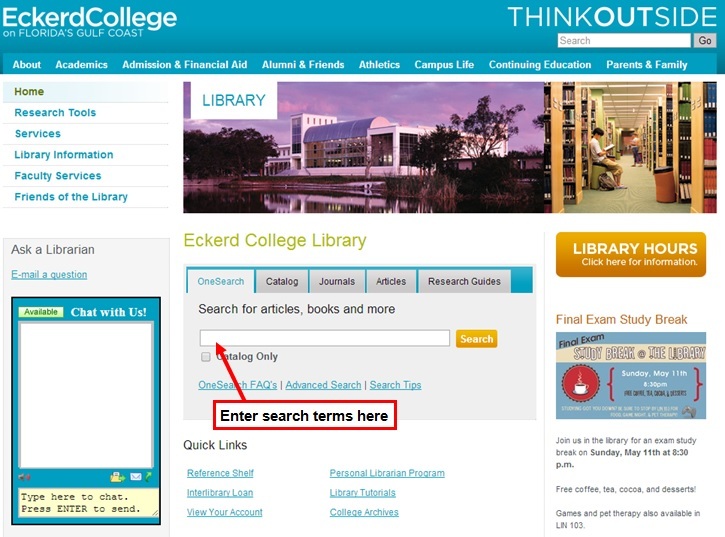 Using the OneSearch tool on the Eckerd College Library home page to conduct your search will allow you to refine your results to library books in Spanish.